I’m the first to admit that whenever I go to India, impotent I immediately turn into a baby, coddled by my family (my grandma won’t even let me walk to the grocery store two doors down from our house unattended!). It’s like I’m Peter Pan and Hyderabad is my Neverland, only instead of refusing to grow up, I’m pretty much not allowed to. During my last trip, I was determined to break out of my India-induced cocoon a bit, so I did my first little solo jaunt — to Mumbai, which is hardly an adventurous place, I know, but for me it was a big step! 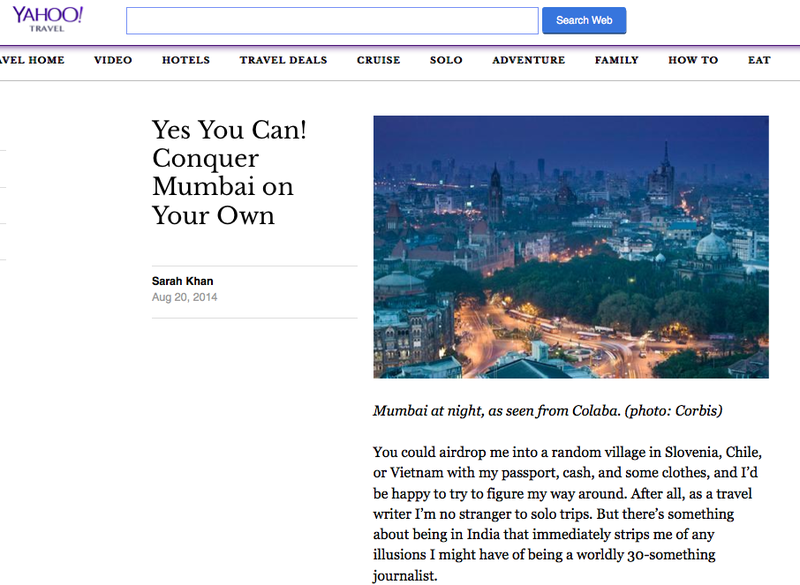 I wrote about my experience (which was, predictably, AMAZING), along with some tips to keep in mind when planning your own trip, in Yahoo! Travel. Read it here.